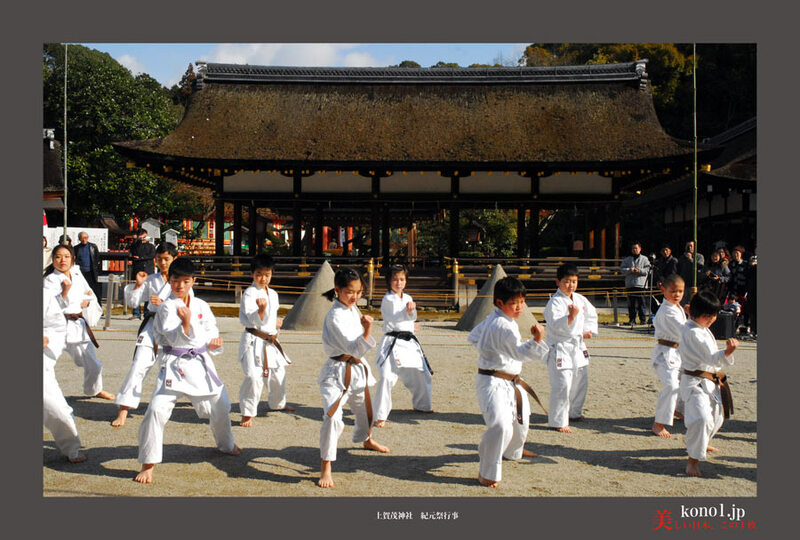 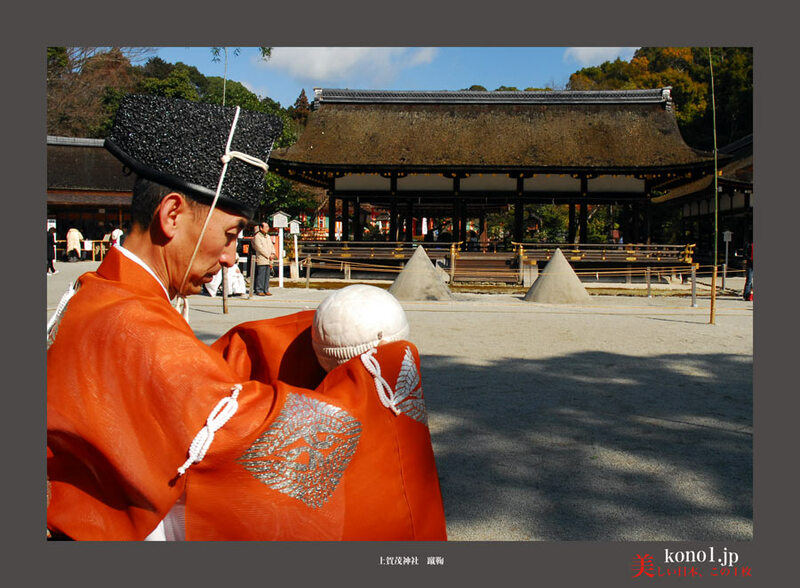 Kamigamo Shrine of Kyoto has the history more than 1,000 years. 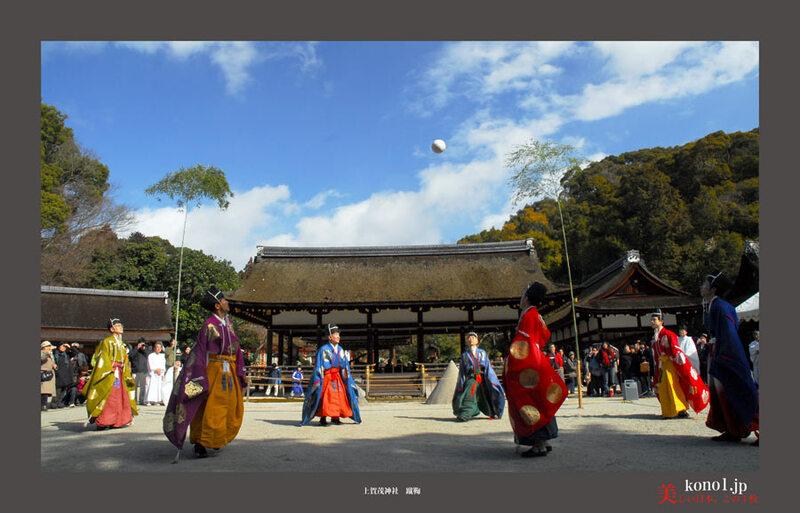 This Shinto shrine have the event called the Kemari　football　game in February. 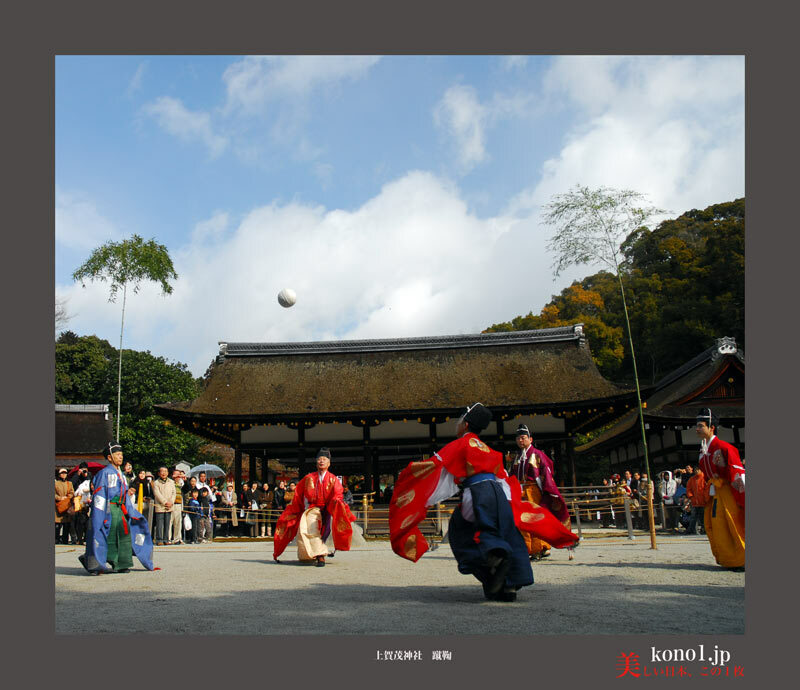 Kemari is the ball game that came from China 1,400 years ago. 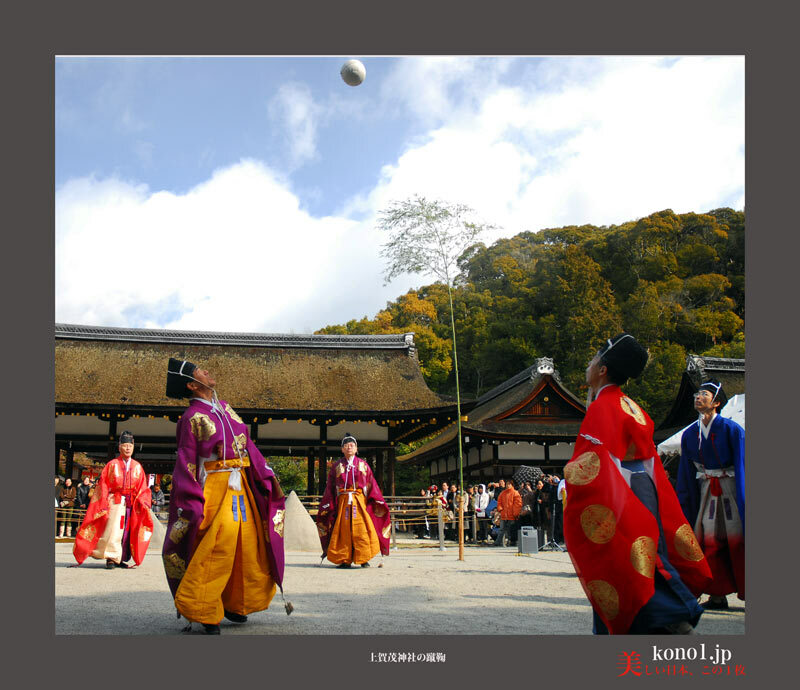 Kemari was a very famous ball game in Japan 1,000 years ago and enjoyed it from a noble to the common people.